Part of being savvy is knowing the most efficient and cost-effective ways to deal with all the financial commitments in your life, but it doesn’t mean going for the cheap option. If you’re hard up and have to spend money on life’s essentials, you may feel you have no choice but to opt for the cheapest deals, even if it means you aren’t getting the best quality. If you have plenty of cash, you may believe it’s not worth wasting time finding the optimum option for your expenditure. However, if you’re savvy, you’ll want the best of both worlds – paying no more than you need to get the most beneficial outcome. Pet care is a prime example of where spending wisely can give your pets the healthiest, happiest life without costing you unnecessarily large amounts of cash. Paying insurance premiums can seem like money down the drain; after all, if your pet never gets sick, the money’s gone forever with nothing to show for it. Some people will justify not insuring their pets by saying they will save money not paying premiums and should the worst happen, they will just pay for the required veterinary treatment themselves. That sounds credible, but what if you examine the figures involved? Say you had your cat insured at a cost of $15 per month. After three years, you’ll have paid $540. That sounds like a lot of money, but suppose your cat got hit by a car one day and shattered its pelvis? The surgery and aftercare could be anywhere from $3,000 to $8,000, so at the cheaper end of the scale you would still have a shortfall of $2,460. That’s assuming you had actually saved the money – more often than not it will get swallowed up by other expenses, and you’ll need to find the whole $3,000. 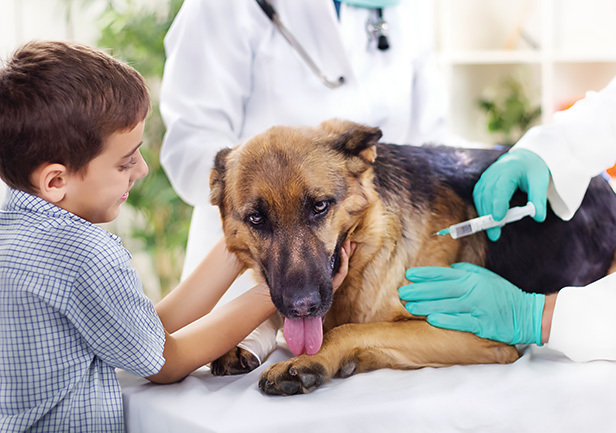 There are six core immunizations for dogs and four core immunizations for cats, which are those that all animals should have. There are a further five dog and two cat immunizations for diseases which are dependent on the animal’s lifestyle. That’s a lot of potentially fatal or life-threatening conditions that your pet could catch in its life. Prevention using vaccines is far more cost-effective than hoping that your pet won’t get sick. It could be argued that if they’re insured, that will cover the cost of them getting treatment for any disease, but that’s not always true. Insurance policies will often have exclusions for preventable diseases because as far as they’re concerned, if you haven’t paid for vaccinations, they shouldn’t be responsible for picking up the bill if your pet contracts a preventable disease. There’s also the fact that if your pet does become ill they will surely suffer and may well die, and if you love your pet then you wouldn’t want to be responsible for their pain. Internal worms can cause irreparable damage to your pet’s insides, as well as some, like Toxocara roundworms, being potentially harmful to humans, particularly children and babies. Treating your pet with a wormer that controls the population costs a few bucks and only needs to be done a couple of times a year, so compared to the cost of treating worm damage and the risk to human health, it’s a very small price to pay. Fleas and ticks can be effectively controlled using products like Pet-Lock, which kill and repel these pesky insects. Ticks don’t cause a great deal of harm in themselves, they only take a tiny amount of blood, and unless there is a severe infestation, your pet won’t be harmed by blood loss. The dangers lie in the diseases ticks spread, and the risk of infection if the tick is killed and the head left in. Fleas can quickly take over your house and have everyone scratching, which is a very unpleasant experience, and once they’ve set up home, it’s far harder to eradicate them. 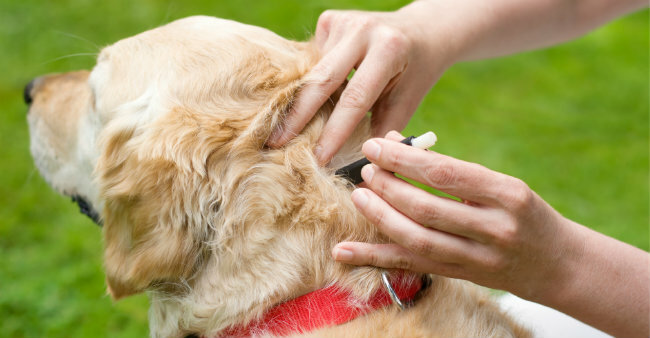 Some animals are allergic to flea saliva and can get nasty, itchy rashes on their skin. Best to prevent these bugs taking hold rather than deal with a much more sizeable problem down the road. Dogs love food, but don’t have much sense of enough being enough. Their health can be harmed by being moderately overweight, and the strain on their joints will affect their quality of life in old age. To feed your dog correctly, weigh them, then weigh the food you’re giving them and follow expert veterinary or nutritionist guidelines on how much your dog should be getting. 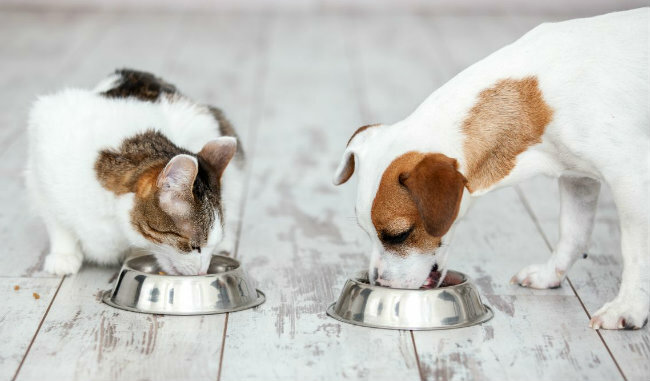 Don’t feed them scraps and treats, even though it’s very tempting; allowing them to become overweight will not be good for you or your bank balance. Make sure they’re getting enough exercise for their age and type – some working breeds need several hours a day as a minimum. Cats are usually much more moderate with their food, with a few exceptions who then turn into Garfield look-a-likes. If they have access to the outdoors, they should get enough exercise, but if not, get them a cat gym and spend some time playing with them to burn off the calories. Other things to keep in check include claws, which will cause pain and an unpleasant trip to the vet if they curl around and penetrate a pad. Keep teeth clean with dental chews, dental brush toys, and if your dog is amenable, brush their teeth with some doggy toothpaste. Cats are less likely to agree to having their teeth brushed, but you can help prevent tartar build-up by giving them access to dry cat biscuits. The more you can do to avoid dental treatment being required the better, as it will require an anesthetic – which won’t come cheap – and infected teeth can be horribly painful and lead to damage in the jaw and skull. 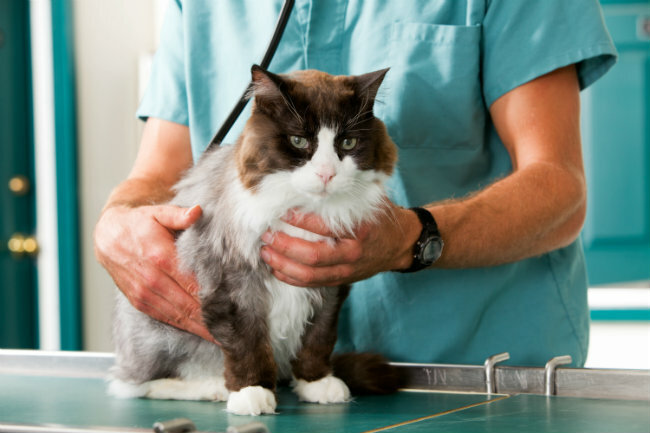 Many veterinary practices now offer healthy pets options where for a regular monthly payment you get routine treatments such as booster jabs and check-ups plus discounts on other treatments, depending on the individual terms. Paying monthly for insurance and regular vet treatments is an easier way of budgeting than having to find hundreds of dollars at once. As a final thought, one of the savviest things you can do with your pet is to have them neutered – having a litter of kittens or puppies to care for and find a home for, is not going to be cheap or easy! Prevention is better than cure in all things science! I agree, I take the time to learn about all the info and apply it. Having furry family is just like having a son or daughter. The things you do for them you should do for your pets. THE PETS ARE SO CUTE AND I AGREE WE NEED TO TAKE CARE OF ANIMAL . I HATE SEEING MY PETS SICK.I APPRECIATE THE ARTICLE.